Many relationships have been known to crash and burn because the couple has differing attitudes toward money. You may have one partner who's very frugal, while another loves to spend. Other relationships fall apart because one partner may have financial troubles or large personal debts. 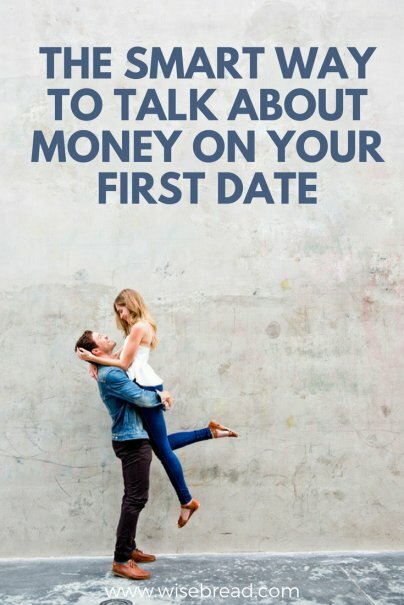 How can you approach the money issue on a first date? It's fairly normal to inquire what a person does for a living, and from this, you may be able to glean some information about their career goals. You then may get some sense of how much they earn or what their earning potential might be. I'm not in favor of judging a person on how much money they make, but poor spending habits combined with low income could be a recipe for disaster. Understanding a date's career goals may also offer a clue as to whether they have student loan debt. A lawyer or doctor, for example, may have bills from law or medical school. People with healthy attitudes about finances are generally more inclined to spend money on experiences rather than material objects. So when inquiring about a person's interests, it helps to get a sense of what they spend their money on. Do they enjoy shopping for fancy clothes, or traveling with friends? If they are avid readers, do they collect books or borrow from the library? Do they collect high-end artwork, or are they content to just visit the local galleries? This may seem a little silly, but a person's phone can be another indicator of how they spend their money. If they have the newest iPhone that just came out the day before, you can sense that they may be drawn to the newest and fanciest things. If they are still walking around with a 10-year-old flip phone, that's an indication that they are pretty frugal. A smartphone can be a key into a person's financial soul. People's attitudes toward money are often handed down from their parents. If a person's Mom and Dad had horrible money habits, there's a good chance they will, too. If your date's parents are near retirement age, ask if they have stopped working. If so, that's a good sign that they had good saving habits that may have been passed on. But if you learn that your date's parents are calling and asking for money, that's less encouraging. Asking about family can also give you a sense of what their parents did for a living, and the lifestyle they may be used to. You might not end up back at their apartment at the end of the night, but you may learn what neighborhood they live in. A person who is cost-conscious might live in a humble part of town with some roommates. Someone who is more spendthrift might live alone in the priciest part of the city. (But, this also may simply be an indicator of their income.) Inquiring about their housing situation might open up a conversation as to whether they are actively saving to buy a home. Say, "Nice shirt, where'd you get it?" Their answer could be very illuminating. An answer of, "The Versace store on 5th Avenue" versus, "Target" might offer a small glimpse into their income, spending habits, or both.